12 Powerful Steps to Optimise Google My Business Listing. Indyapages SEO Services, We Help You to Rank On Top in Google Searches. Get 30% Off Indyapages SEO Services in May! Want to know how SEO-friendly your website is? Give us a call. We help optimize your Google My Business listing, social media profiles, On-page SEO, and help correct common SEO errors. We promise first 3 page ranking in google for your niche business website for the chosen keywords. The first place where top notch SEO professionals look to create a local business listing strategy is Google My Business Listing! Google My Business (GMB) -- is the free tool from google that helps local business owners manage their online presence across the search engine. Google My Business offers the greatest impact for brands seeking local exposure. Google’s Knowledge Graph utilises verified Google My Business information to help generate details for its database about businesses and related entities that are relevant to specific searches. Once a new listing is created, a Google Maps location is then generated that synchronises with traditional Google Nearby Search for easy access and search-ability. 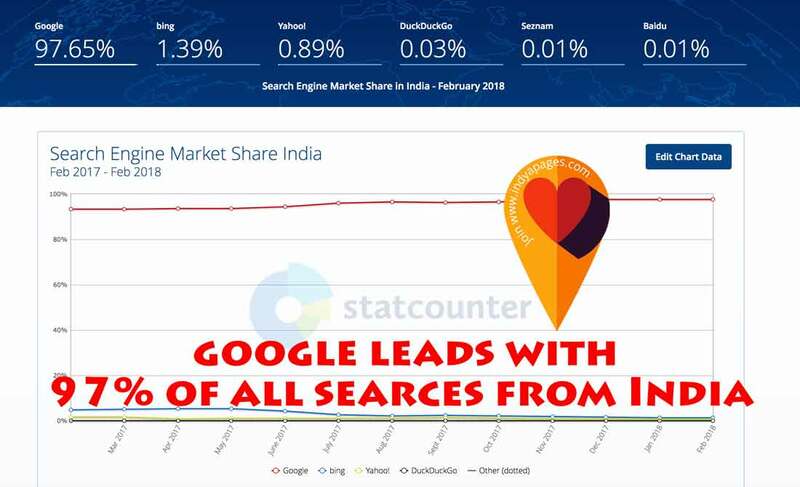 It certainly helps that the clear majority of organic searches come from Google (More than 90 percent for worldwide search engine market share in India), further illustrating the value of a GMB listing. Use the below step by step guide to ensure you’ve completed your Google My Business listing correctly, and optimised all possible features of the tool to get the most from it for your business on Google and third-party platforms that use the Google Maps API to generate location information for users such as Indyapages my business listing. IndyaPages My Business Listing synchronises your location data to google maps automatically when you create a listing for your nearby business. If you are new to digital marketing and if its your new endeavour for you to create a GMB listing for your local business, here are few basics you should know of to fully understand Google My Business and the value. Using Google My Business is free. GMB listing doesn’t replace your business’s website. Google My Business complements your existing website by giving your business a public identity and presence with a listing on Google the most popular search engine in the world. The information you provide about your business can appear in Google Search, Google Maps, and on Google+. 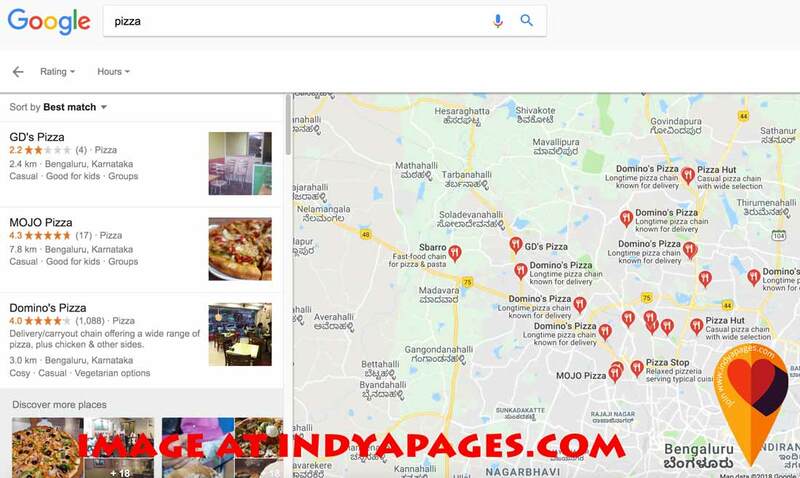 If you have your listing with Indyapages Business directory, your business listing is already been there in Google My Business, which you can claim. Same applies if your have already used some Google tools, chances are your business is already listed on Google My Business. Google Places for Business and the Google+ Pages Dashboard were the best ways to manage your business information previously, but both of these may have automatically upgraded to Google’s universal platform, Google My Business. 2. Why You Should Use Your Google My Business Profile? Setting up a Google My Business profile for your company will help your company show up in Google search engine results, Google local search results and Google Maps results. 3. Do You Know How Google My Business Looks Like? Image: Screen shot of google my business listed NearMe business look like. 4. How Does Google My Business Work? Google My Business allows you to manage your entire Google business profile—including for multiple locations—from one dashboard. 5. What Does Google My Business Do To Your Business? On top of these basic features, you can add photos to your Google My Business profile and encourage positive customer reviews. 6. 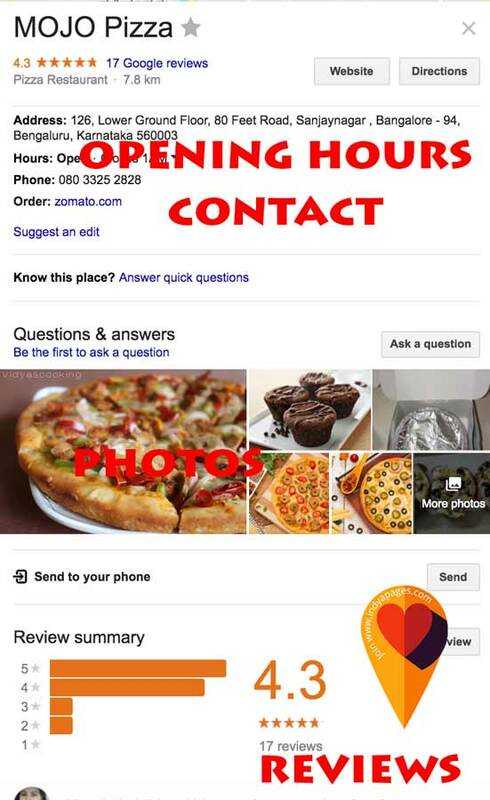 Do You Still Need Google+ or Google Places for Business Pages? You can manage everything you need to right from your small business’ Google My Business dashboard. The NAP info, photos and any other information you upload to Google My Business will automatically populate across all of Google’s platforms. You can even manage your small business AdWords account from your Google My Business dashboard. Represent your business as it’s consistently represented and recognized in the real world across signage, stationery and other branding. Make sure your address is accurate and precise. Choose the fewest number of categories it takes to describe your overall core business. 7. How to Add Your Company to Google My Business? If Google has no information on your business, it will lead you through a series of steps. Follow these prompts to add your business information to the site. You’ll be required to verify your business with Google. Which can be done by a post card verification process. We will explain it in next blog. As you wait for the verification process to be completed, you can begin uploading photos, videos and logo into your Google My Business dashboard immediately. These won’t publish online until you’ve completed the verification process. First step to getting your Google My Business listing up and running is to actually conduct a Google search to ensure your business doesn’t already have a GMB listing. If your business has been around for a while (several years or more), it’s likely it already has a GMB listing and you just need to claim it. Head over to the Google My Business page for adding and claiming GMB listings and enter your most important business information (business name and address) to ensure your business doesn’t already have a listing that you need to claim. If there is already a listing for your business, it will notify you. It may also notify you that someone else already claimed your business. If that happens, follow these steps. Fill out the remaining input boxes with your business details, ensuring everything is accurate and grammatically correct (capitalize your business name, street names, etc. ), and be sure to find the best relevant category for your business (there are a lot of variations to choose from). The last option listed asks if the business being created delivers goods or services to customers at their location. This is valuable for many businesses that operate away from their brick-and-mortar headquarters and, typically, at the home or business of the customer (cleaning services, construction companies, pest control, other home services, etc.). 8. 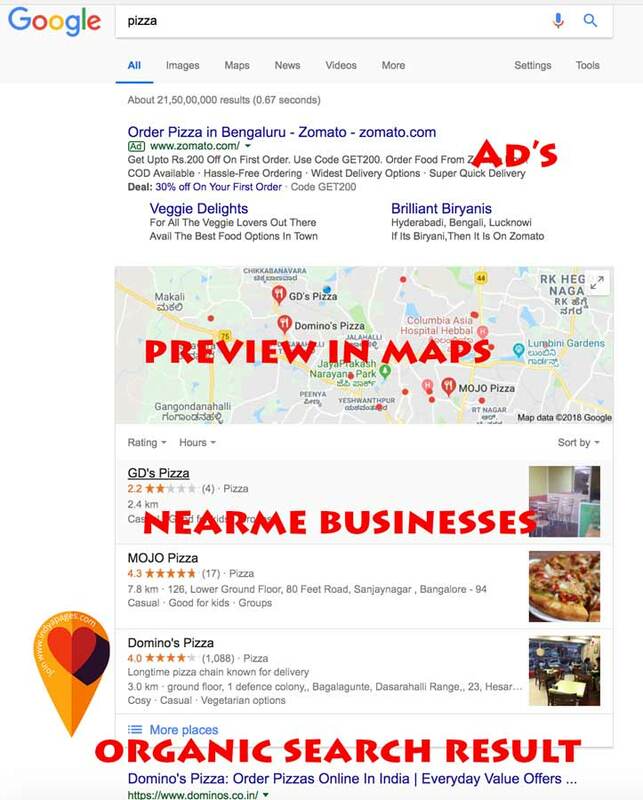 How to Verify Your Google My Business Listing? There are two main ways to verify your Google My Business listing: by postcard or by telephone. Follow Google’s prompts to determine the method of verification that’s right for you. Verification by postcard will take between seven and 10 business days. 9. How Do You Edit or Change the Information in Your Google My Business Profile? You can edit or change information on your profile directly from your Google My Business dashboard. If you have any difficulty making changes to hours, location or other information, send a message to Google My Business support staff on Facebook or Twitter, or start a chat, request a call, or send an email. Sign in to Google My Business and make sure you’re using “card view.” If you’re viewing your locations as a list instead of cards, switch to card view by clicking the cards icon on the right side above your locations. It’s important to use all resources Google My Business offers within its listing details to get the most out of your business locations. One of the most important things to keep in mind when optimizing your Google My Business listing is consistency, said David Mulqueen, project manager for digital marketing agency Odd Dog Media. "Include high-resolution pictures of your business including the offices, alongside 360-degree photographs and recordings if possible. The more different substance you include, the better Google will position your business with respect to the opposition," Nair says. When composing examples, and product descriptions "Write in a characteristic, supportive, and simple to peruse narrative. Google adores an awesome client reviews!" Free Download quick tips to know more about optimizing your my business listing with google business. These are some simple steps to follow, explained in clear and easy way. These tips are absolutely free, and you can keep it for future reference. Is It Too Much? Don't Worry. We Help You. We understand that it can be too much for you, to create and optimize google My Business for your listings. Avail Indyapages SEO Services. The best SEO Services in Bangalore and India. We assure your website ranking in first 3 pages in google ranking for keywords you want. We will help create a perfect Business listing in Google. We optimize it to rank on top in Google NearBy search results. Contact Indyapages SEO Services today for the best OFFER! !